A few months back I joined a co-op of 4 writers who team up each month to give away our stories for free (for a limited time) in order to spread the word about our various projects. So far so good! This month, look for freebies today (and in some cases all week) from the following speculative fictioneers. You an also visit our blog directly and check out previous offerings. 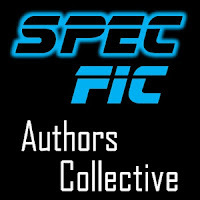 Go to SpecFic Authors Collective.